Visitors to Restaurantosaurus at Disney’s Animal Kingdom may notice a few recent updates to the menu! 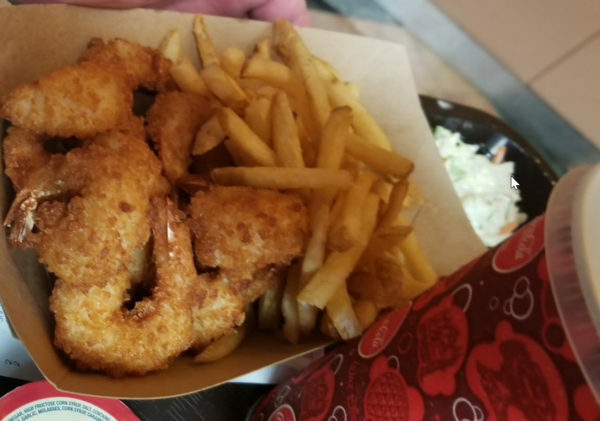 New items include Battered Fish served with French Fries for lunch or dinner which will set visitors back $10.99. There’s also been updated to the drink menu which now includes a Prehistoric Margarita with Jose Cuervo Tequila, Triple Sec and lime juice. Its those perfect afternoon cocktail for those hot Animal Kingdom afternoons! We here at Chip and Co. think there’s a lot to love about this Dinoland U.S.A eatery known for ample seating and quieter crowds. Make pit stop here during your next Disney visit if you’re looking for a relaxing place to relax and refuel.